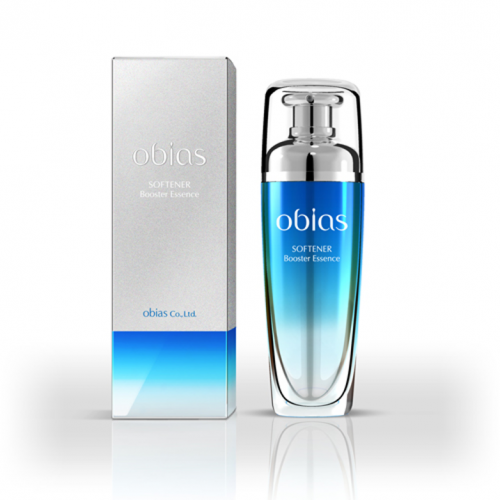 ”obias SOFTENER Booster Essence” prevent to become dry skin rapidly after face wash and moisturize your skin. 【How to use】 Place an appropriate amount(Press 2-3 times) of essence onto your palm and place it onto 5points of your face. (forehead, both cheeks, nose, jaw) And apply it carefully to your face. “obias” series contains 3 major next-generation anti-aging active ingredients for skin: ADSC-CM, PROLOIPHIL F4, and VITA-HA 400JA. These ingredients are based on scientific evidence. ADSC-CM is conditioned medium from human adipose derived stem cells which contains several growth factors, ECM(extra-cellular matrix) components, and physiological active substances. It stimulates both collagen synthesis and migration of fibroblasts and accelerates wound healing of skin. Mostly active ingredients can be reached your internal skin because they are enclosed by “NANO LIPOSOME” capsules. PROLOIPHIL F4 is skin penetrating oligo-peptides which activates intracellular enzyme that maintain a balance of new collagen synthesis and helps restore skin’s resilience by stimulating collagen biosynthesis. VITA-HA 400JA is a stable derivative of vitamin C by combining with hyaluronic acid. Hyaluronic acid stays on and moisturize the skin, and vitamin C deliver deep into the skin stably and acts effectively such as anti oxidant, inhibiting melanin synthesis, collagen biosynthesis and skin regeneration.